First step – sign up to find great properties around Houston just by filling out the form. In the Houston area, lots of smart people are using rent to own agreements as a way to get the home of their dreams without having to qualify for a bank loan right away. Just like any other lease agreement in Houston, there may be a security deposit and a small application fee in addition to the fee upon move-in . Of course, you’ll have to pay rent each month. 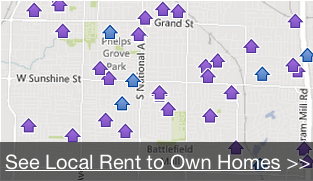 Houston Texas Houses for Rent – Why rent when you can own?